Ingredients List: PEG-115M, PEG-7M, Polystyrene, Tocopherol, Cyclodextrin, Aloe Barbadensis Leaf Juice Powder, Maltodextrin, CI74160, CI74260, CI77266. 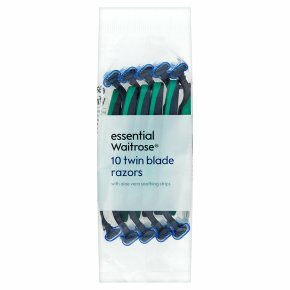 Razors and blades should be kept out of the reach of children. Avoid touching or wiping the blades, this will impair performance.